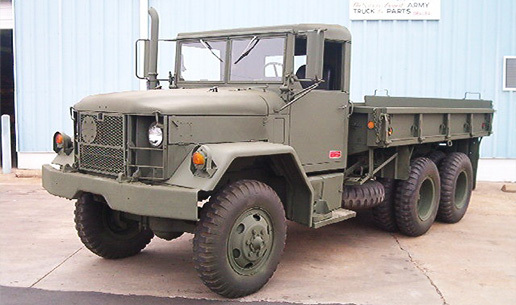 An overview of military trucks and spare parts at our dealership in Memphis, Tennessee. We are the largest army truck and parts dealer in the nation. 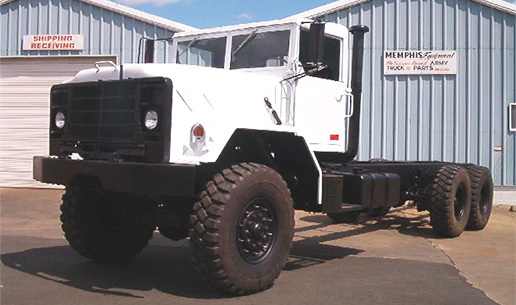 View some of our 6x6 military trucks in reconditioned and remanufactured "fully processed" categories. 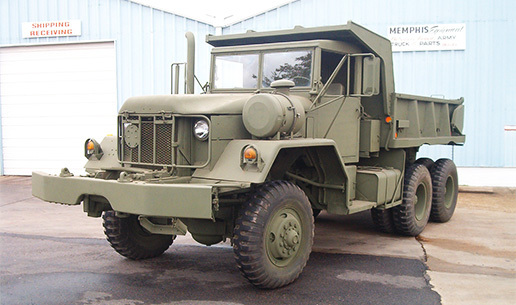 Our army surplus vehicles are built to order and to customer specifications. 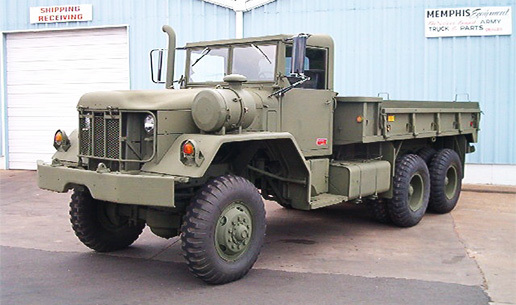 We sell 5 ton military trucks, dump trucks and military wreckers. Order military vehicle parts manuals and technical service manuals right here. We ship military surplus parts to domestic and world wide customers via all major carriers. We'd love to talk to you and meet you. Call us at 901.774.0600 or 901.946.1919 or email us at info@memphisequipment.com .